Writer Self-Test: Are You Missing New Opportunities For Success? - Writer's Relief, Inc. Writer Self-Test: Are You Missing New Opportunities For Success? Few opportunities will come into your life like a bolt out of the blue. So if you’re sitting around hoping for opportunities to come along that will positively affect your success as a writer—stop waiting. You have to MAKE them happen. Take this quick self-test now to see if you are making the most of the opportunities you have—and are creating even more opportunities for success. How many can you answer “yes” to? Do I carry a notebook? When the muse strikes, do you make an effort to capture that spark of inspiration? Many writers who assume “I’ll probably remember that later” usually don’t. Carry a notebook, a digital recorder, or even your smartphone, and you’ll never miss a creative opportunity again. Have I attended writing conferences? Though a critique group can be helpful for developing craft and staying encouraged, writing conferences are often where the business of writing takes place. At a conference, you’ll meet people you didn’t expect to meet and pick up career-changing insider tips. But you’ve got to be there to make these opportunities yours! Am I submitting work like a professional? Writers who are dedicated to their craft must also be dedicated to their submission process if they want to seize opportunities. And that means researching markets, making submissions regularly, and tracking your efforts. If you want to make better, stronger submissions to agents and to publishers…Writer’s Relief can help. 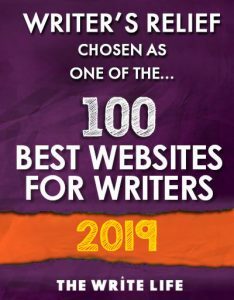 With our 20+ years of publishing experience to guide your submission strategy, you’ll be able to take advantage of many more opportunities and see positive results. We can help get your writing into the right hands at just the right time! The time to act is now—Writer’s Relief will be accepting new clients (books, poetry, fiction, creative nonfiction) on a limited basis only until Thursday, August 20. Do I have a positive attitude? A negative attitude sees only problems, rejections, and barriers. A positive, optimistic attitude will help you see opportunities clearly. Am I actively learning new things? Try something out of the ordinary. Take a class you wouldn’t normally take. Read a book you wouldn’t normally read. Volunteer! You may be surprised by the unexpected opportunities you’ll discover for enhancing your writing. Today, you have the opportunity to change your future by submitting a writing sample to Writer’s Relief. Consideration is free and confidential. 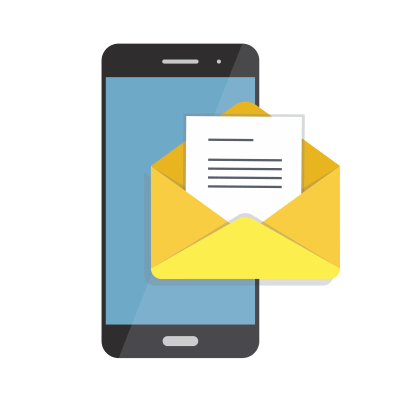 If accepted, you’ll be given the chance to join our client list—and we’ll work with you to develop a submission strategy that gets results. Here’s how to learn more about our process. But hurry! No opportunity lasts forever, and this one lasts only until Thursday, August 20. What will you make happen? 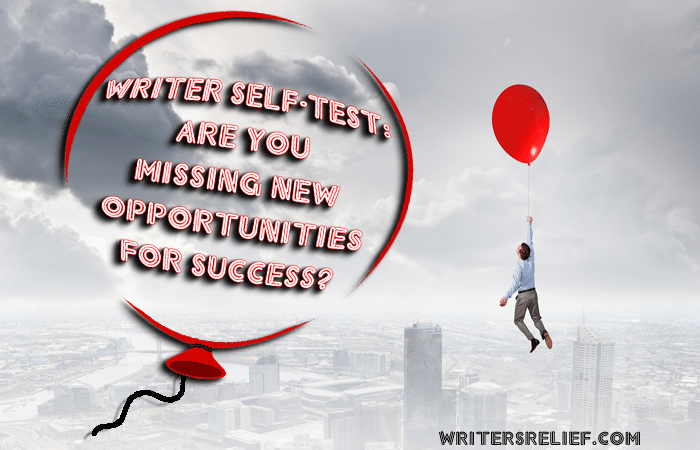 7 Responses to Writer Self-Test: Are You Missing New Opportunities For Success? I can answer yes to all but two questions, I have two manuscripts for books that I have written, I need some critique on them both. It is WRITER’S RELIEF who can make the dream, can fulfill the dream. I awakened being inspired by Writer’s Relief and wrote 2 short stories within short duration and submitted beside my writing a book of poetry. My heartiest well-wishes to the team of Writer’s Relief. I love to channelise the flowing stream of my creativity and imagination through a boat of poetry. Writersrelief, I believe is the best for navigating the destination one is looking for. Truly speaking, I write poetry but I could not make it happen though I often get wake up calls(emails) from writer relief team. Thanks from the clouded sky of my heart. I have a Christian nonfictional book written but not edited. I am not an English major and don’t have the money to pay an editor. this is standing in the way of my submitting it. Writer Self-Test: I can answer Yes to all your questions but 2.